The tried-and-true original Plaster Paint…with a little something extra! Add a little bling and a lot of glam to your project using the Metallic Plaster Paints by the Plaster Paint Company! Metallic Plaster Paint provides the same durability required to makeover anything with the added bonus of a metallic finish. You can use the Metallic paints as a top coat, add to any color paint for a beautiful custom color, dry brush over a base coat for a subtle touch, or create a shimmering wash or glaze. Watch our tutorials to learn how to easily transform anything in your home. 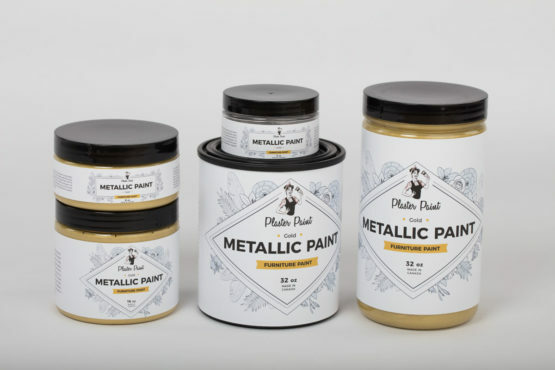 Add a little bling and a lot of glam to your project using the Metallic Plaster Paints by the Plaster Paint Company! Requires minimal to no prep work or sanding. Can be applied to just about any surface including wood, metal, glass, tile & fabric. If the original finish is high gloss or oiled, first use new surface for best results.Clean piece with soap and water and let dry. 1. Paint two even coats with 30-35 minutes dry time between coats. 2. Following the grain of the wood, use consistent brush strokes from one end to the other. 3. Clean any drips from edges. 4. Avoid going back over an area after two plus minutes as the paint will become tacky. If choosing to distress you can either wet or dry sand. Glazes can be applied before or after distressing if desired. Plaster Paint Original must be sealed. 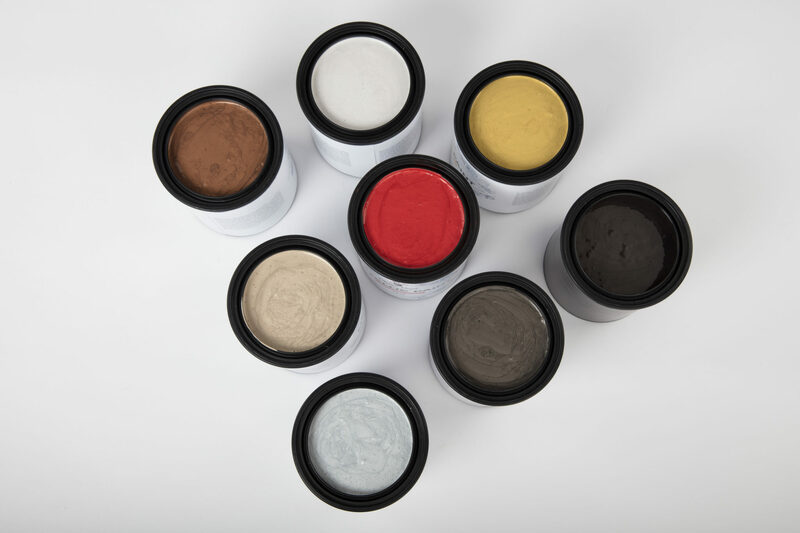 Choose one of our 5 sealants. Water based soap and water clean up. If your looking for a vintage look with brush strokes use a synthetic brush or chip style brush. If you want a clean looking finish use a natural bristle brush, roller or chalk sprayer. CAN distress, layer & mix paint colors (Plaster Paint Original & Metallics) together.